In the upper left of the screen, you will see "Ship Window" (Figure 1). Click on the "Not Entered" field. Select your Start ship date or Cancel ship date (Figure 2). 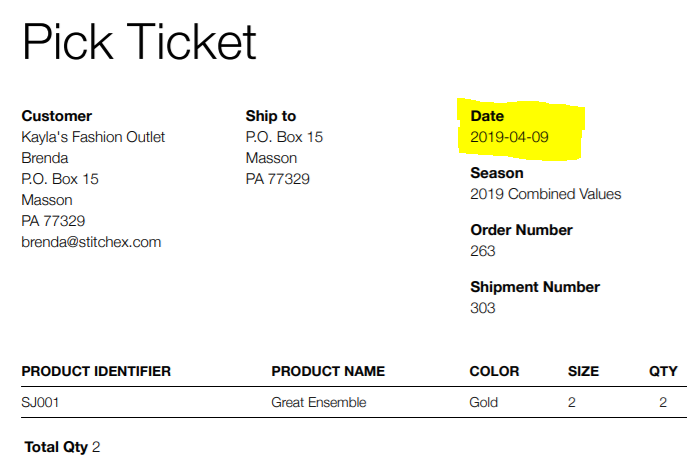 When you create your Pick Tickets/Shipments, the "Ship at" date shown on the top of your Shipment (Figure 3) is the date in which the Shipment was created and represents the date in which your inventory/stock adjustments were made. This date may not be the actually date the product is shipped. 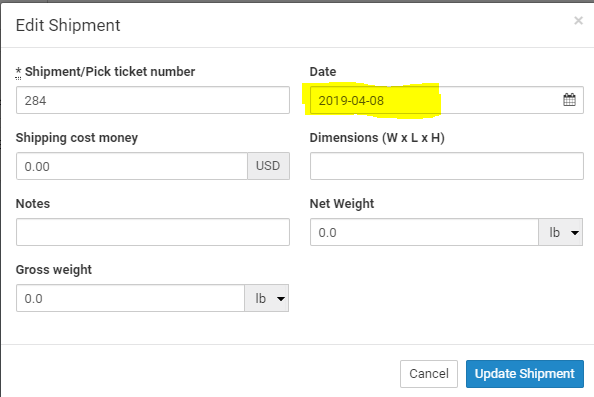 If you want to edit that date, click on the edit icon on the top right of your Pick Ticket/Shipment and select the actual ship date (Figure 4) that you want to appear on your Delivery Notes and Pick Tickets. When you print your Pick Tickets or Delivery Notes (Figure 5), they will have the date you entered in Figure 4 above.